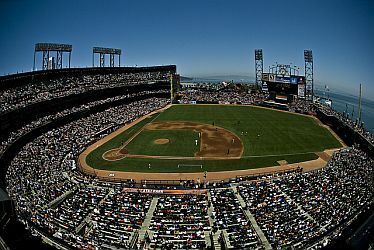 AT&T Park - San Francisco. Home of San Francisco Giants. Lower level seats around the infield offer the best view of the game, and a chance to get foul pop-ups. Additionally, the Field Club seats offer access to the private clubs at AT&T Park. Burlingame Golf Center - Has 45 spacious hitting stalls: 30 covered and 5 specifically for left-handers. The driving range is astro-turf with 10 targets ranging from 70 yards to 260 yards. Featured is a natural grass short game and bunker practice area. Full-service pro shop for equipment, accessories and apparel. Amateurgolf - Includes comprehensive tournaments database. Golf Courses Recognizing NCGA Memberships - A listing of personal favorites. Poppy Hills - 3200 Lopez Road, Pebble Beach, CA (831) 622-8239. Home of the Northern California Golf Association (NCGA). Beautiful driving range. Poppy Ridge - 4280 Greenville Road, Livermore, CA 94550 (925) 456-8202. Golf Courses Recognizing San Francisco Golf Resident Card - The City and County of San Francisco has 6 municipal golf courses under the jurisdiction of the Recreation and Parks Department. Reservations for Harding Park Golf Course, Lincoln Park Golf Course and Sharp Park Golf Course can be made through the automated tee time reservation system by calling 415-750-4653 or online at SF Tee Times. Golf reservations will be accepted by the automated tee time service or online seven days in advance starting at 7am (example; you may call on Monday at 7am for a reservation the following Monday). Proof of residency and age are required to receive discount. City residents must have a resident's card in order to receive discount. Resident cards may be purchased for $90.00 [good for 2 years] by visiting City Hall room 140. A valid form of ID (drivers license) and a copy of a PG&E bill is required. Presidio Golf Course - Also see San Francisco City Resident and Senior Golf Rates page. GolfNow: San Francisco - Provides tee times and golf course selection through easy and convenient online booking. SAP Center at San Jose -Home of San Jose Sharks hockey team. San Jose Sark Tickets - Official Sharks stie.